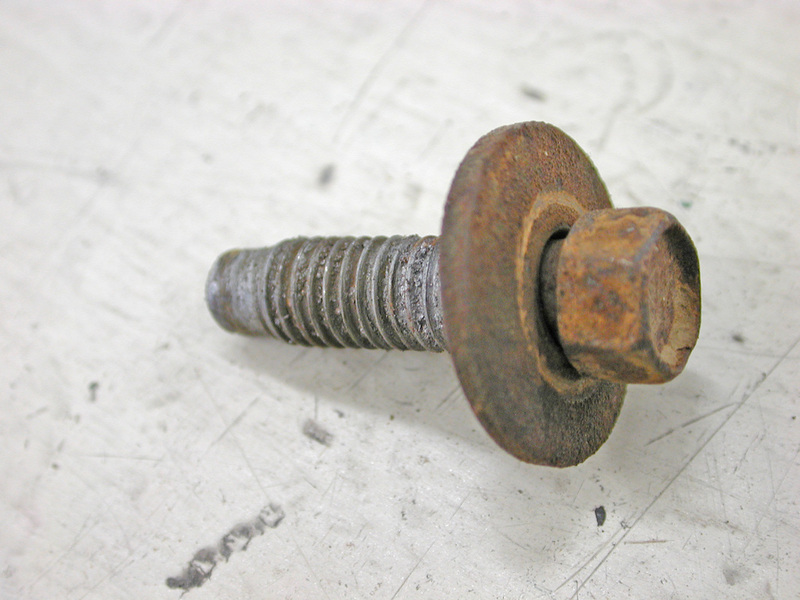 I believe that this is an M8-1.25mm bolt with captive washer that is 30mm (1 1/4") long, although I've never seen once since they are only used on the diesel trucks. And, I don't have a source for it. Further, the picture below is actually of its little brother the N606689 that is an 1/8" shorter.